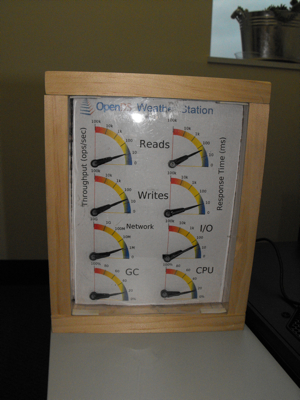 The OpenDS Weather Station, provides a dashboard of the important metrics from an OpenDS server, showing instantaneously how loaded is the server. Anyway, this is a nice little engineering project ! Thanks for getting this posted, I’ve been waiting to pass it around.